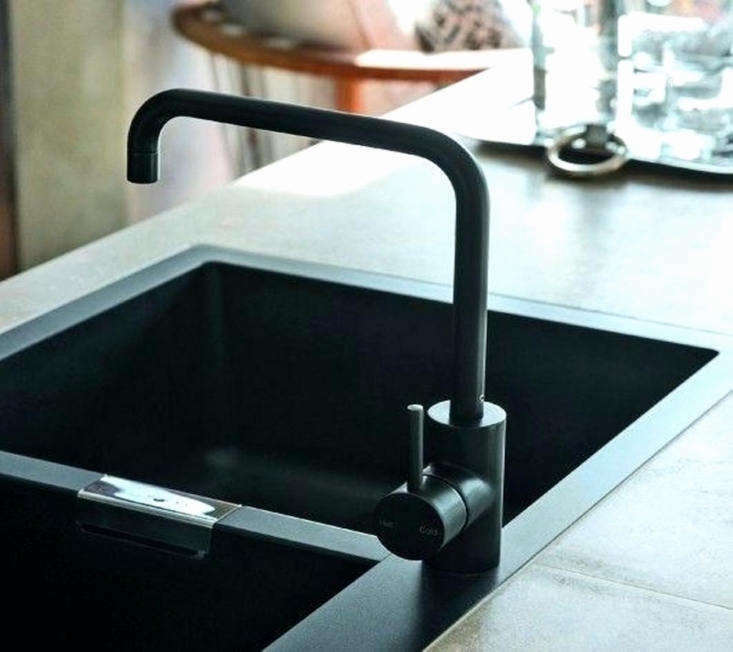 A matte black faucet is a bold statement, but it’s also one that’s versatile (think graphic Scandi or extreme gothic) and is generally trend-resistant. As a complement to our investigation on the best white kitchen faucets, here are our 10 favorites in black. 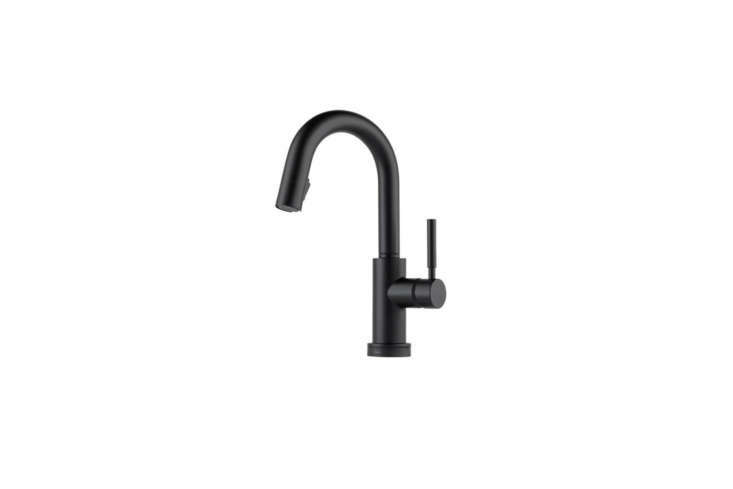 Above: The Kohler Purist (K-7507-BL) Single Handle Swing Spout Kitchen Faucet comes in Matte Black and is $511.24 at Faucet Direct. Above: The Zucchetti Pan Sink Mixer with High Arch Spout is designed by Roberto and Ludovica Palomba and comes in Satin Black. 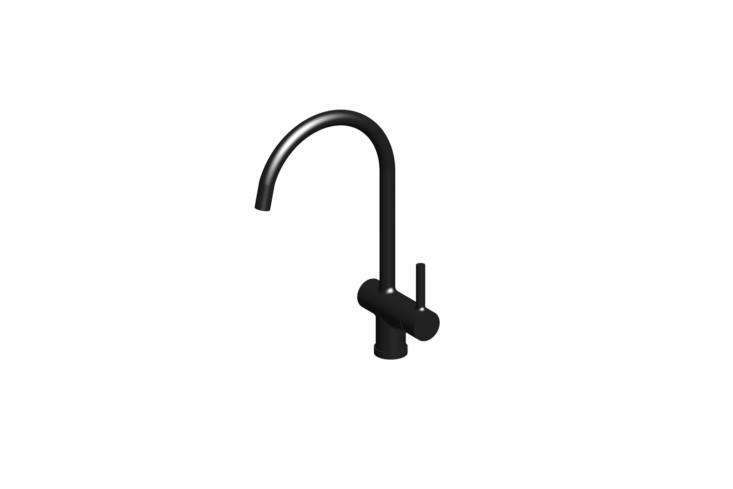 Above: The small Vola HV127 Matt Black Basin Mixer Tap works well in a small kitchen or paired with a bar sink. The tap can be found at House Proud for £458.40. 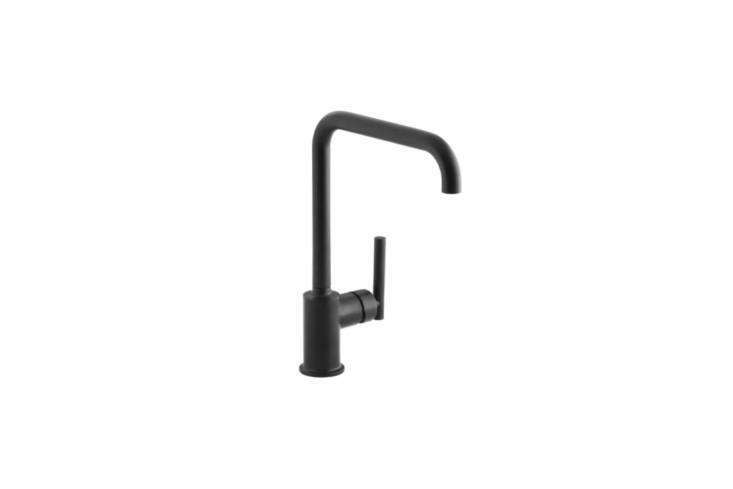 Above: Faucets from Astra Walker are all available in Matt Black, like the A69.03.V2 Tap shown here. Contact Astra Walker for price and ordering information. 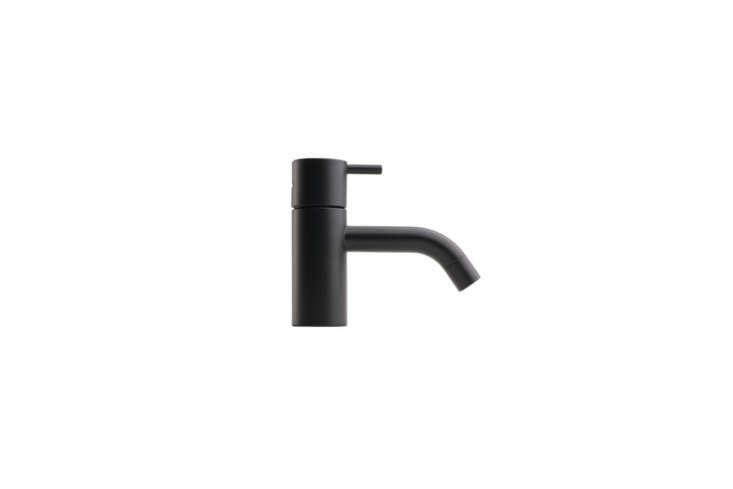 Above: The Blanco Anthracite Linus Collection Single-Handle Faucet is $335.08 at Faucet Direct. It’s the faucet designer Nicole Hollis used in a kitchen renovation in San Francisco. 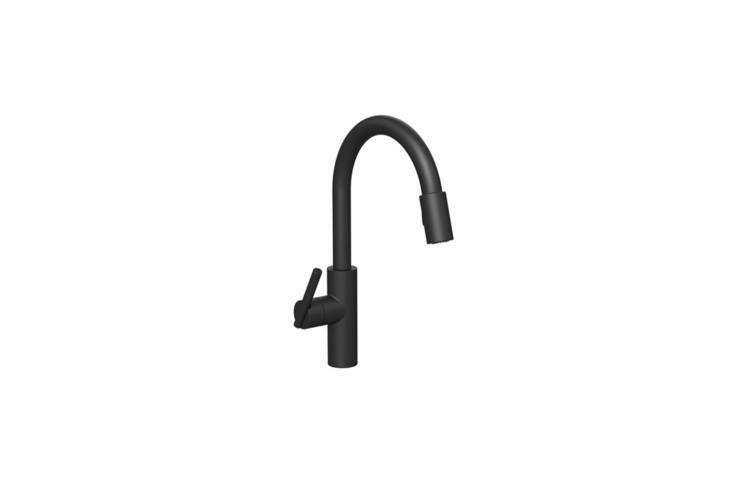 Above: The Brizo Solna Single Handle Single Hole Pull-Down Prep Faucet (64920LF-BL) is $521.28 at Simon Supply. 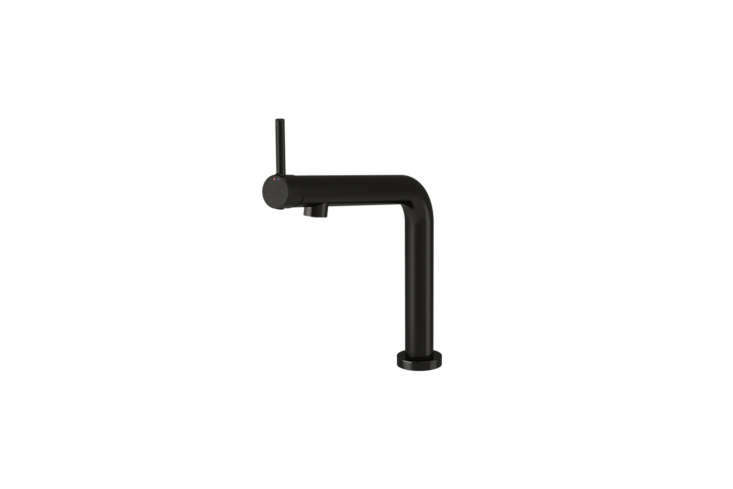 Above: The affordable Bosjön Kitchen Faucet in Brushed Black Metal is $169 at Ikea. 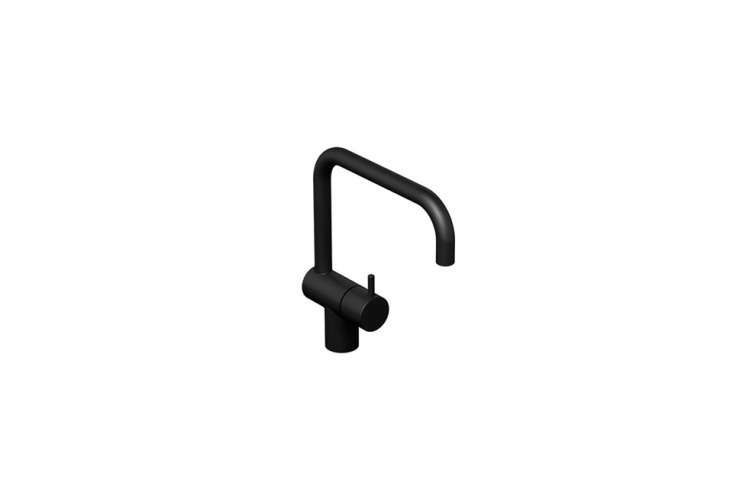 Above: The Vola KV1 One-Handle Mixer is another style from Vola, available in Black. It’s $1,485 through both Vola and at Quality Bath. 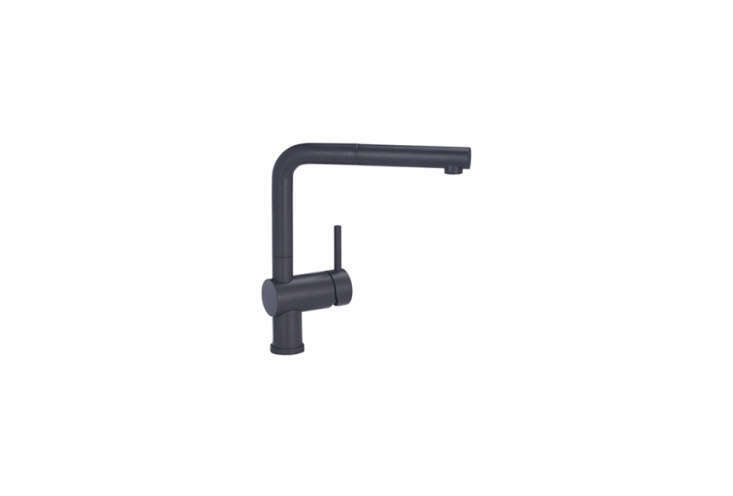 Above: The industrial pull-out faucet, the Danze Foodie Pull-Out Spray Kitchen Faucet (DDH450188BS) comes in Satin Black; $377.16 at Ferguson. 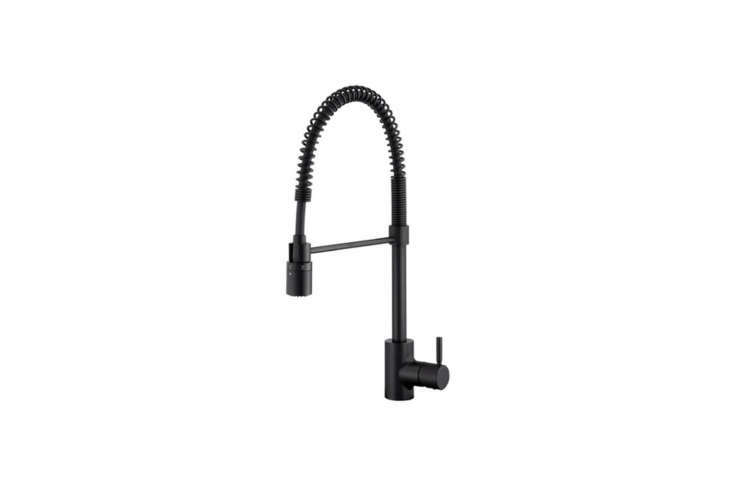 Above: The Newport Brass East Linear Pull-Out Spray Kitchen Faucet (N1500-5103/56) in Flat Black is $920.17 at Ferguson. This article was written by Alexa Hotz from Remodelista and was legally licensed through the NewsCred publisher network.